and is a former reporter for the Associated Press. Hoffman’s latest book is his masterwork, Judaism Discovered. His free newsletter, The Hoffman Wire, is sent out to thousands of supporters. 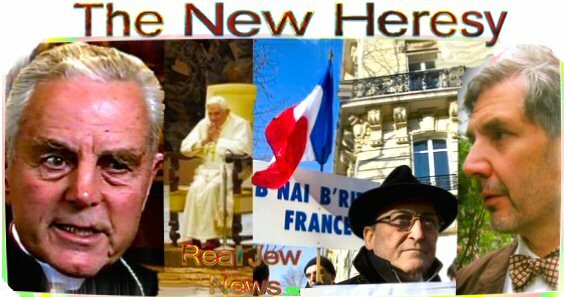 Brother Nathanael : On January 21, 2009, Pope Benedict signed a decree lifting the excommunication of Bishop Richard Williamson, who became notorious for his exposure of the Jewish Holocaust myth. 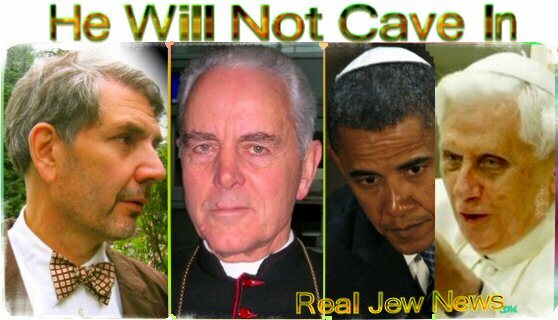 Immediately, world Jewry was up in arms, demanding that the pope tell Williamson to “recant.” How do you view all of this? Michael Hoffman: You can deny the Virgin Birth in the Western world. You can claim Blessed Mary was a harlot. You can deny the Resurrection. You can deny the Israeli holocaust against Palestinians and the Allied holocaust against Dresden. All of these according to the Judaic thought-police are mere “opinions” of men. The Judaic “Holocaust” theology represents the gradual erosion of the claims of the New Testament and the increasing supremacy of Orthodox Judaism’s worldview. Br Nathanael: Does Pope Benedict have a theological basis for requiring Bishop Williamson to recant? Michael Hoffman: No. I recently wrote to Pope Benedict challenging his submission to the dictates of the Judaics. 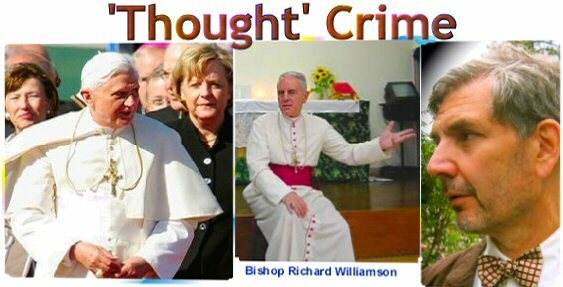 You see, whether or not Bishop Williamson “denies” the existence of execution gas chambers operating in Auschwitz, should not in the least affect his standing in the Church of Christ. Williamson’s right to speak, teach and publish should not affect his standing anymore than Neocon Catholics who deny that the recent Israeli massacre of 1300 Palestinians, including 400 children, some of them burned by phosphorous poison gas (irony of ironies), lose any standing in the hierarchy, or their local church, with their abject denial of the Israeli holocaust against Arabs. God said, “My ways are not your ways,” but the Judaic lynch mob imagine God to be as the Talmud envisions him, a subsidiary of the ruling Sanhedrin, the rabbinic judiciary before whom we are all expected to genuflect, swallowing their outrageous exaggerations and lies in order that we may be considered good little boy scouts. Now the Judaics are telling us little Gentile boy scouts that ‘Holocaust-denial’ is a crime. Br Nathanael: What did you say in your letter to Pope Benedict? 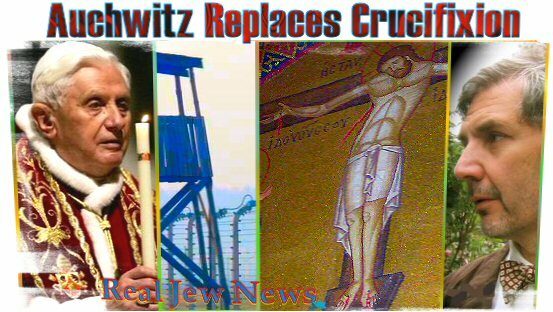 I brought the issue to a head by an incisive inquiry into the matter: “Are you aware of the extent to which the Crucifixion of Christ has been replaced by Auschwitz as the central ontological event of western history? Do you wish to be complicit in the disastrous effects that continue to accrue from this derogation of Jesus and deification of man?” View Hoffman’s Letter Here. Br Nathanael: On February 9, 2009, the Seminary in Argentina of which Bishop Williamson was the Rector, dismissed him. What is your analysis of this event? But the issue really boils down to this: The rabbinic “Holocaust” is a Trojan horse inside Christianity and its refutation does indeed concern “faith and morality” since it betrays the Gospel by derogating Calvary and substituting it with Auschwitz as the central martyrdom of western history. Bishop Williamson was removed because he offended the rabbis and the Judaics, not because of a heretical statement or for telling a lie. 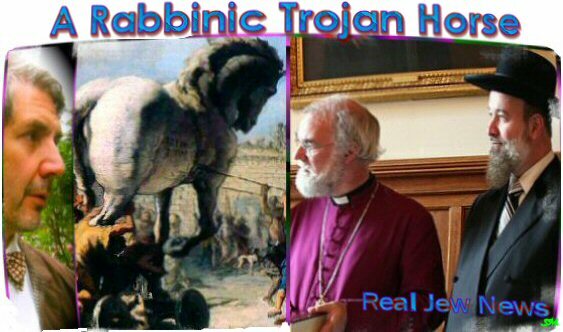 The criterion for removal from office in the modern Catholic Church is that which pleases or offends rabbis and Judaics. Everything else is diplomatic jargon employed to conceal this sickening fact. The international campaign against Bishop Williamson is beginning to read like a chapter out of Kafka, or a surrealist dreamscape, and yet this is the Talmudic reality of our lives in the modern West, which is Zionist-rabbinic from top to bottom. 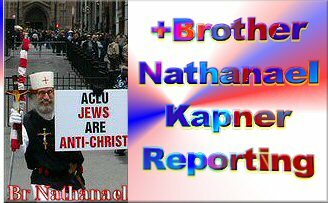 Br Nathanael: Do you think that Williamson will eventually cave in to the Judaics? 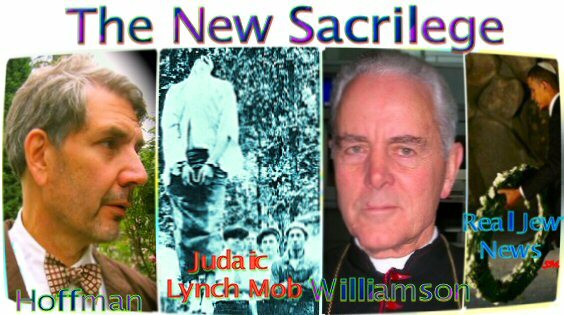 Michael Hoffman: Bishop Williamson has no automatic disposition to “recant,” as many under pressure from Judaic lynch mobs have done in the past. Place Your Order For: Judaism Discovered @ Revisionist History Here. Should touch one leaf of that Forbidden Tree. Please consider voicing your support of Bishop Williamson by signing the petition in support of him at http://petitions.tigweb.org/FSSPX. CORRECTION — For whatever reason, I just discovered that the link I gave in my previous post for the petition for Bishop Williamson may not necessarily work when it is clicked on from the above post I have no idea why, although I suspect it could very possibly be more fun and game tricks by our ever loving “Judaic bretheren” as a way of holding the number of future signers down. Please just Google “Bishop Williamson petition” and get to it that way, although it may require an extra step or two. P.S. You might also try the link, http://petitions.tigweb.org/FSSPX?view=comments. THE JEWS ARE NOT THE PROBLEM. THE CHRISTIAN ZIONISTS ARE A DISASTER. OH HOW THE ZIONISTS HAVE DUPED THEM AND HAVE CHRISTIANITY ON THE DEFENSE. What really worries me about the laws against holocaust revisionism is that we don’t know which other historical events could be next. There’s all sorts of evidence that the official version of September 11 isn’t true. 9/11 truthers might be the next group to be outlawed. 1. There is no God but the Jewish people (Juden über Alles). 2. Mankind in general, but Christianity in particular, is guilty for having committed the universal sin or crime of the Holocaust; that is, for having killed God itself (the Jewish people); and the guilt for this crime shall burden mankind’s conscience, forever and ever, till the end of times. Brotherly in Christ (hallowed be thy name).